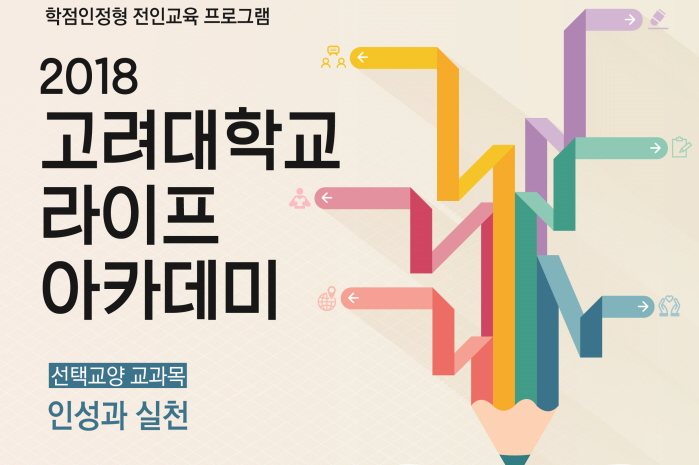 Starting from the second semester, Korea University Academy of Human Resource Development (KUAHRD) and Dongwon Education Foundation (DWEF) offer “Personality and Practice” (PP) to KU students, a lecture classified as an elective general studies course. According to KUAHRD, the course was planned for the development in intelligence and introspection of undergraduates in KU. Notably, students may as well receive five credits in total by engaging in the whole-rounded education program, which consists of two courses, PP I and PP II. The participants in PP will have an opportunity to engage in extensive reading, writing, discussion, cultural activities and volunteer work. They are required to read around 10 recommended books and write about them during the semester. Held every Friday from the sixth to the eighth period, KU professors and graduate students serve as a coach in every class, and participating in the extra activities after the lecture is mandatory. “Through this program, students are expected to attain an intellectual growth and an ability to grasp the gist in any context,” KUAHRD explained the curriculum’s objectives. While PP I mainly focuses on fostering reading and writing skills, PP II, which is planned to be offered in the next year’s spring semester, would provide its attendees a chance to apply their knowledge in practice by methods such as volunteer work.